North American tour’s finally happening? The first date of the 2017 Deep Purple tour — following release of the new album — has surfaced. 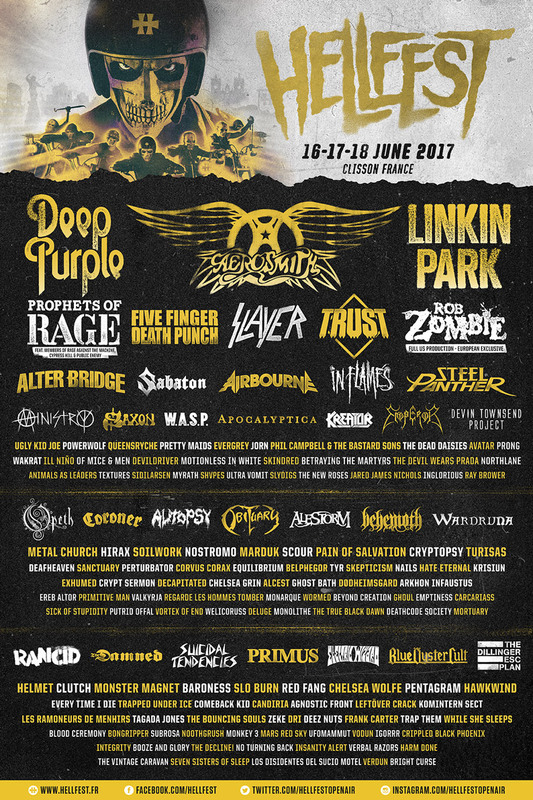 Organizers of the Hellfest festival in France have posted next year artist lineup and Deep Purple is listed as one of the three headliners alongside with Aerosmith and Linkin Park. The festival runs June 16-18 in Clisson, France, and we’ll fill our calendar as soon as the exact date of the band’s appearance will become available. Posted by Nick Soveiko on Tuesday, November 29th, 2016, filed under News. You can follow comment on this post through the RSS 2.0 feed. You can skip to the end and leave a comment. Pinging is currently not allowed. Is it true that this is the band’s farewell Tour? Hellfest organizer is confirming this idea on his facebook page. I’m scared. forget all that, we just want first right to the new album !! !